The Plexiglass Gömböc is the combination of perfection and clarity. The crystal clear polished Plexiglas assign an extraordinary and weightless look to the Gömböc. As this Gömböc is made of a highly sensitive material, it is recommended to use it on smooth surfaces, to prevent scratches. Because of light transmission, the Plexiglass Gömböc can show a new world in your own room on bright days. 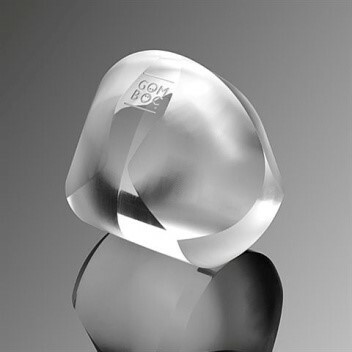 This Gömböc is made of acrylic glass, which allows you to see through the object. This unique material can prove clearly the magic of the existence of the Gömböc. We do not need any additional weights or tricks; we can rely on the miracle of geometry alone. Acrylic glass is the perfect substance for a completely transparent Gömböc. It looks amazing and transmits light better than normal glass and comes with a reasonable price. Due to its density, it swings from side to side 3-5 times quicker than our Bronze or Steel products. Choose our Plexiglass Gömböc as a magical and exclusive gift for your friends and partners! 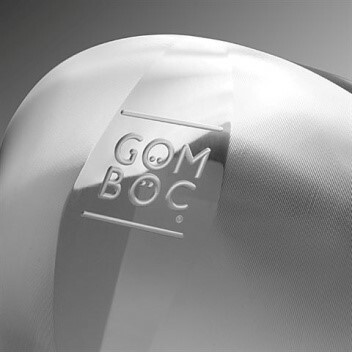 Each Gömböc comes with a booklet containing every necessary information about the product, as well as a unique product ID to identify the Gömböc and prove its authenticity. The Gömböc is delivered in an exclusive gift box, which can protect the Gömböc during shipping. In addition, it serves as a strong storage, the bottom part of which can be used to present the Gömböc. The box is decorated with the mathematical symbol of a Gömböc and is covered with an outer layer.